Our first day in Rome was a whirlwind of landing, deciding where to eat in Rome and ending up with terrible pizza and then off to the best restaurant in Rome. Although I’ve been to Rome several times I wanted Dave to have a better sense of the city and also sample as much food in Rome as possible so I reached out to Walks of Italy to see if we could join one of their tours. I love food tours because you get to eat but also you learn a bit about the city, its history, its architecture. And as Rome is basically an open air museum it’s like the light version of an art tour. 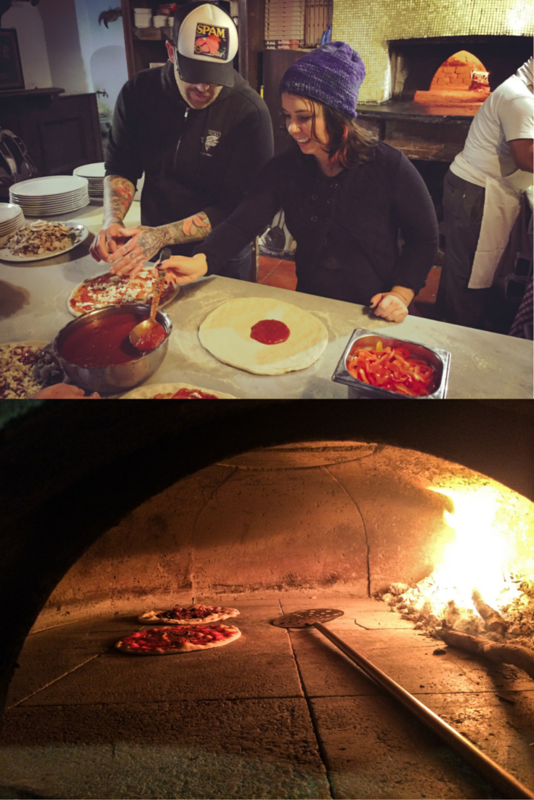 Walks of Italy offers a market, tasting and pizza making tour – perfect for the first full day of travel. We started in the Campo de fiori market where vendors sell everything from produce and clothing to spiralizers. Our guide Joseph was a former history teacher and so while our small group was there to eat, he was able to share a bit about the history of the square and fun facts without overwhelming us with history. He also prepared us that we were going to be eating and drinking all day so we needed to pace ourselves. This was our kind of tour. We were excited that our first stop was a cured meat shop! Norcineria Viola was a cured meat shop and Dave was in heaven. You can smell the delicious charcuterie/salumi from the outside and honestly we could have stayed all day. Inside we sampled a variety of salumi and it was tough to drag Dave out of the shop, but we made note of the location so we could return. Next to a cheese shop where we drank more wine and ate a variety of Italian cheese. And then to Roscioli bakery where you can get pizza al taglio – or by the cut and then pay for the weight. So you can decide if you want 3 inches or pizza or 6 inches or more. It’s a very economical way to eat in Rome. But the main event was pizza making. Of course Dave had made it before and so he helped me with saucing, apparently there is a technique and it’s not just slapping tomato sauce on like I had thought. Once everyone made their own we went to eat, drink and get to know more about each other. And no meal would be complete without a visit to the bar where Joseph explained how to order coffee in Italy. When we left we were full, completely caffeinated, slightly tipsy and felt like we had a great grasp on the neighborhood. Joseph was such We were really happy we took the tour the first day. Our tour guide Joseph – a great resource and we asked him so many questions about where to go and eat. The small group size – under 12 people is great as you can hear and see everything but also meet new people. One part of the tour is visiting the balsamic vinegar, limoncello, olive oil booths at the market, which I suspect are solely for tourists. In Modena I had amazing balsamic vinegar and the products here didn’t compare. I know not everyone would be as picky as Dave and I, and the others probably learned a lot so instead of being pretentious jerks we just kept our mouths shut. 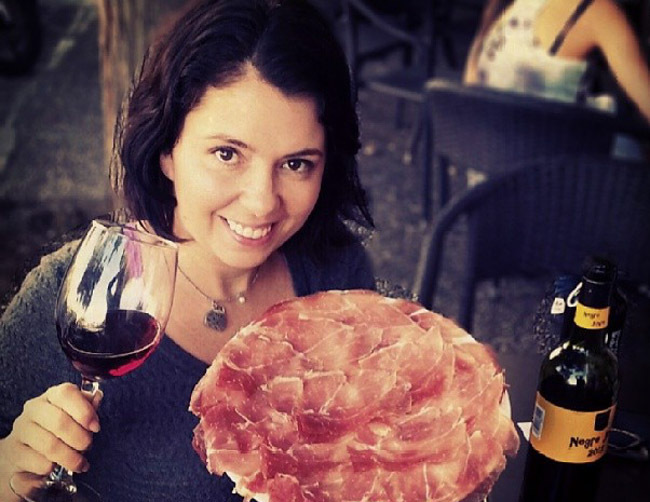 If you can only see Rome in 2 days or just a few more, take the food tour the first day. It will help give you a sense of the city and you can ask so many questions on what to do for the remainder of your trip. And if you’re looking for suggestions in the Ostiense area check out Celelia’s post: Where To Eat In Rome: A Guide To The Ostiense Area Coolest Restaurants! Also check out this post for travel bloggers recommendations for where to stay in Rome. If you’ve taken a food tour that you would recommend in Rome or any other city We’d love to hear about it in the comments below. This tour looks fantastic! I wish we would have done this when were in Rome a few months ago. Always next time! Yes ok. Maybe you can find a good pizza in Rome too. But the real pizza is Neapolitan and in Rome you can eat just a derivation of pizza. Roman pizza is smaller adn has a different. I’m Neapolitan and I wrote a post about the Real Napolitan Pizza and its recipe. 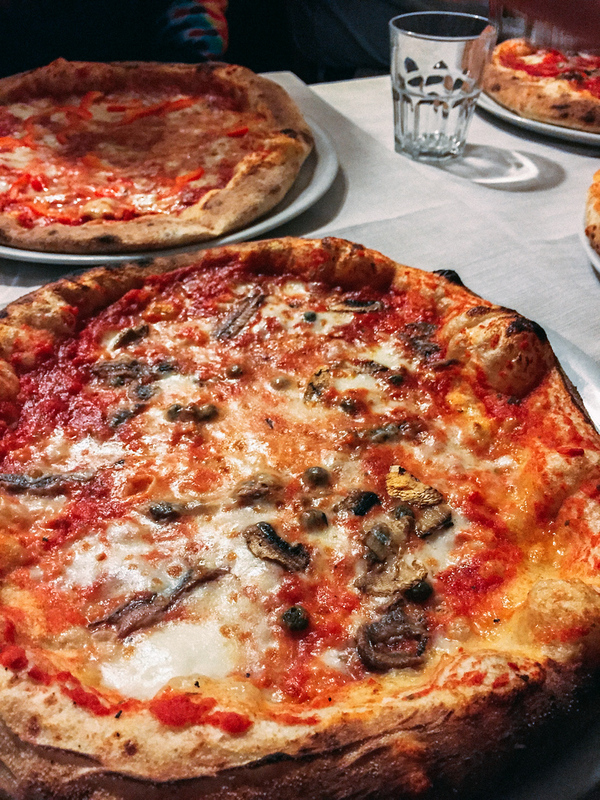 Where in Naples would you recommend for the best pozza, Gennaro?